Breastfeeding provides young infants with the nutrients they need for healthy growth and development. Exclusive breastfeeding is recommended up to 6 months of age, with continued breastfeeding along with appropriate complementary foods up to 2 years of age or beyond. Yet, breastfeeding in the third world countries is on the decline according to the United Nations Children Fund (UNICEF). Four thousand babies die each day in developing nations due to health complications that could have been avoided through breastfeeding. Women in these countries were led to believe that formula feeding was "the way of the Western World." It is sad to say that in Qatar too, there seems to be a trend away from breastfeeding. 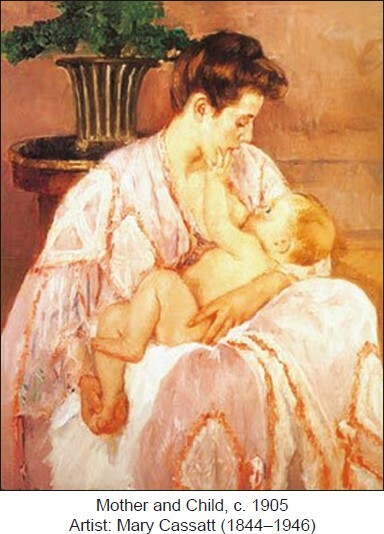 Breastfeeding offers many benefits to both the baby and mother. Breast milk contains the right balance of nutrients to help babies grow into strong and healthy children. Some immune antibodies are transmitted to the infant through breast milk, thus protecting the baby against some common childhood illnesses and infections. Breast-fed babies have a lower rate of respiratory infections. An added bonus of breast milk is that it is kept clean and readily accessible anywhere without the need for bottles and sterilizing equipment. Ear infections and diarrhea are more common in formula-fed babies who have been shown to have a higher risk of necrotizing enterocolitis, asthma, obesity, and even Type 2 diabetes. Breastfeeding is also beneficial to the mother since certain types of cancer may occur less often in mothers who have breastfed their babies. The experience of breastfeeding is special: health benefits for both mother and baby, cost savings, and last but not the least, joyful bonding between mother and baby. Breastfeeding saves lives. It is an age-old tradition and countries should do everything possible to promote and preserve this good and ancient practice since formula milk cannot match the chemical makeup of human breast milk.